You’re invited to join Summer Lectures Club, a club for seniors and others interested in life-long learning and who would like to attend lectures over the spring and summer months from March to September. There will also be opportunities for summer outings to places of interest relating to the lectures. 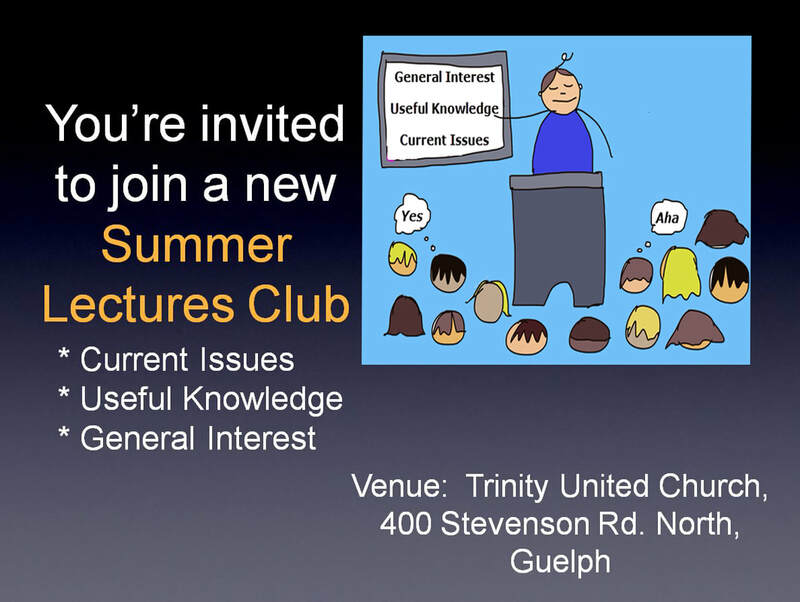 The venue for 2019 is the well-appointed meeting hall, Trinity United Church, 400 Stevenson Road N., Guelph. The church hall is wheelchair accessible. Coffee & tea will be at 9.30 with lectures 10 am til noon on alternate Thursdays starting March 14th, 2019.